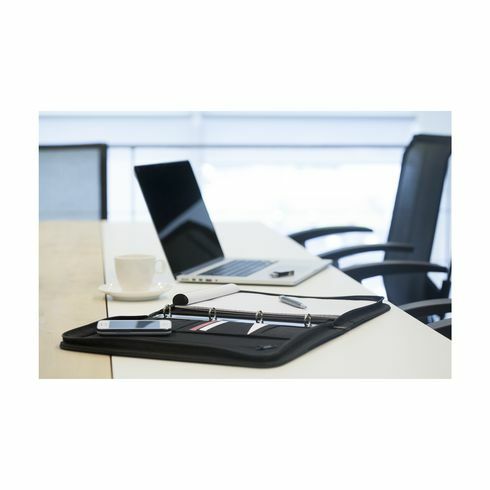 Conference/document folder made of woven polyester/imitation leather in A4 format. 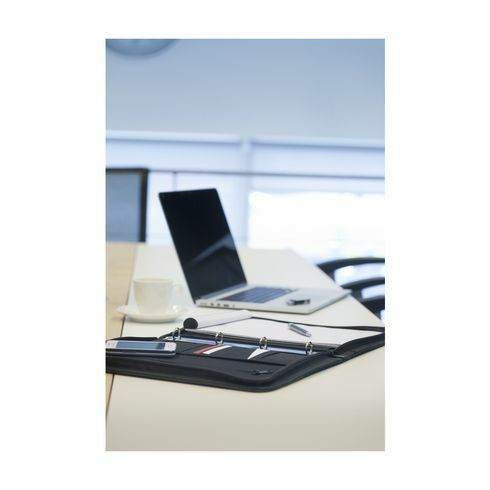 With a ~ range of pockets ~ business card slots ~ metal 4-ring binder ~ zip closure. 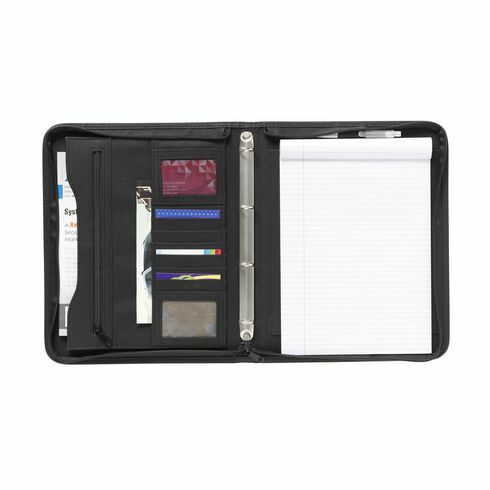 Includes writing pad and ballpoint pen.